Can I split payments, or use more than one credit card? In the Checkout screen, tap on your existing payment method. Then, tap on the orange ellipsis (...) beside one of the cards you're paying with. 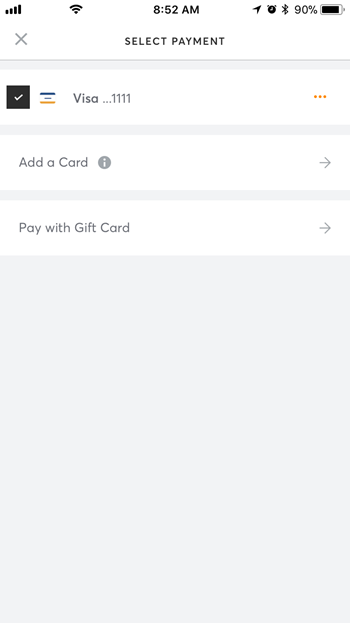 Finally, tap Pay with Multiple Cards and either select an additional payment method or add a second card's info. Note: Split payments are currently only available on the app.